Insects and spiders are fascinating but scary to many. Many photographers would love to take close up photos of these critters but can't muster enough courage to overcome their fear. I'm firmly in both camps. I usually run from spiders and winged insects (or many-legged insects like centipedes), but I can occasionally ignore my fear, grab my camera, and get a few shots in before I run away! For me, conquering fear is the most important aspect of insect and spider photography. It is also necessary to hold the camera absolutely still. However, I have more success when taking photos of flowers than I do with insects. I wonder if it's because I shake from fear of insects and spiders. Being able to use macro lenses, or a macro function makes it easier to capture detailed photos - you must get up close and personal with the creepy crawlies. 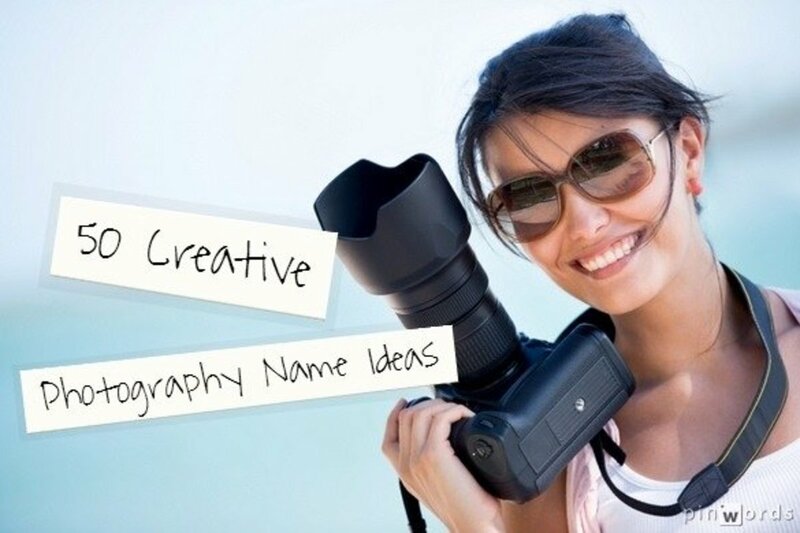 A DSLR camera with a good quality macro lens will let you capture sharper photos. All of the photos in this article were shot with a point and shoot, which shows you don't need a pro camera and lens. Photo editing software is more important for cleaning up insect photos than for other types of photographs - you will want to crop carefully, and play with light/shadow, contrast, definition and perhaps even colour settings to get the best level of detail. 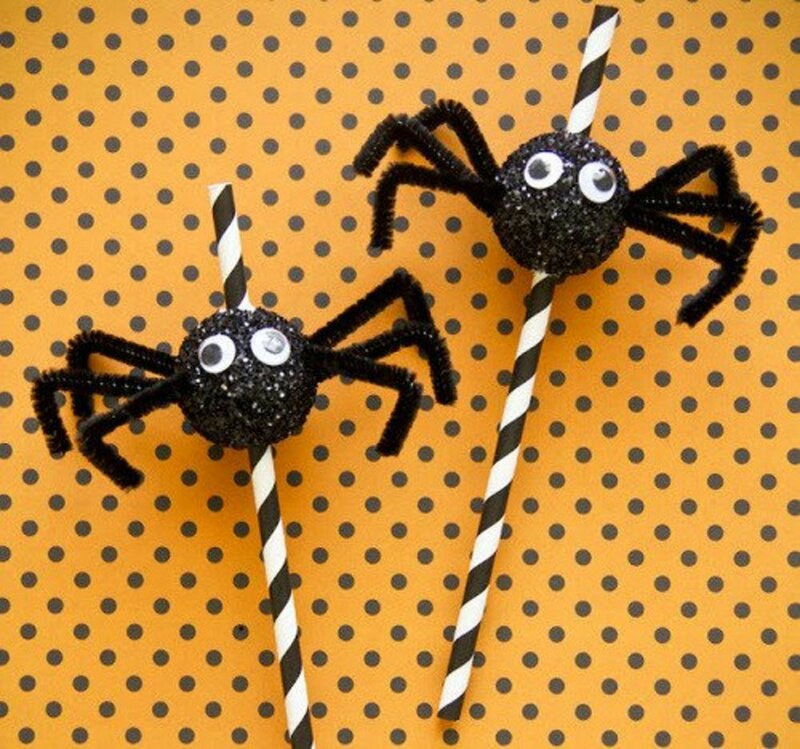 It is important to be able to identify when a spider or an insect is dangerous and should be kept at a distance, especially if there are children around. Having a good book to identify insects is a good idea, as most books will also describe how to encourage (or discourage) such visitors in your garden. Tripods are useful for slower moving insects or for capturing a stationary spider in its web. Spiderwebs look stunning when misted with water drops, and a tripod certainly helps with capturing such details. 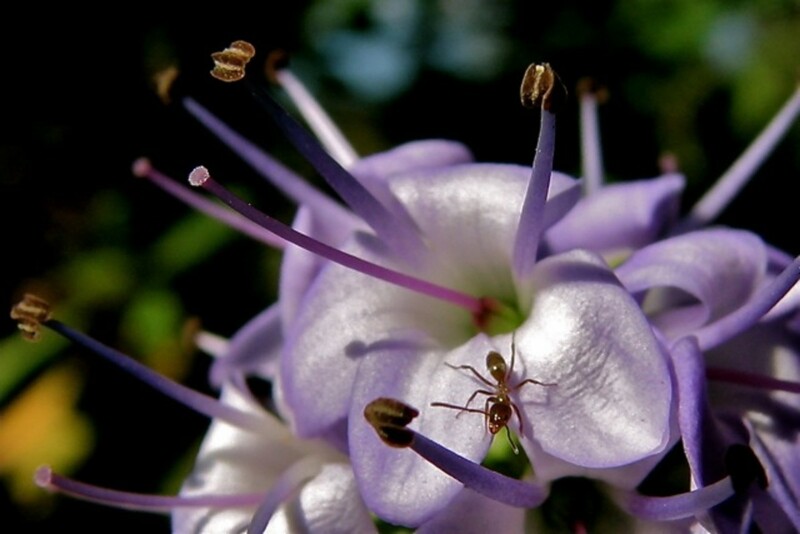 A camera on a tripod can be focused on a flower, and insects may visit at some point after that. It may be easier to photograph insects in captivity. An ant farm or a terrarium with captured insects is a closed environment that you can better control. Some insects thrive in captivity and are sold in pet stores. However, some captured insects and spiders can become very aggressive. 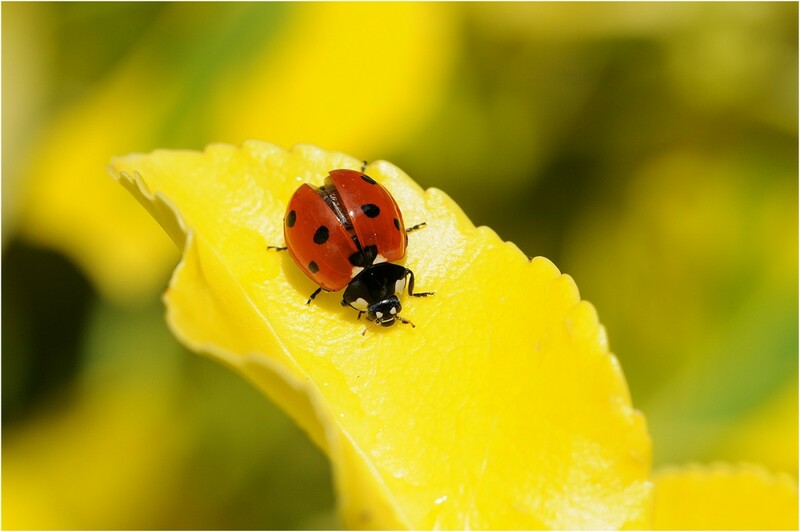 A healthy home garden provides the most convenient way to find insects and spiders. Even containers full of flowering plants encourage pollen-hungry bugs to visit! Not only that, but spiders also love having a steady supply of insects. City parks and gardens, especially those with flower beds, can also provide good access to subjects. It is best to go when the parks are not full of children. 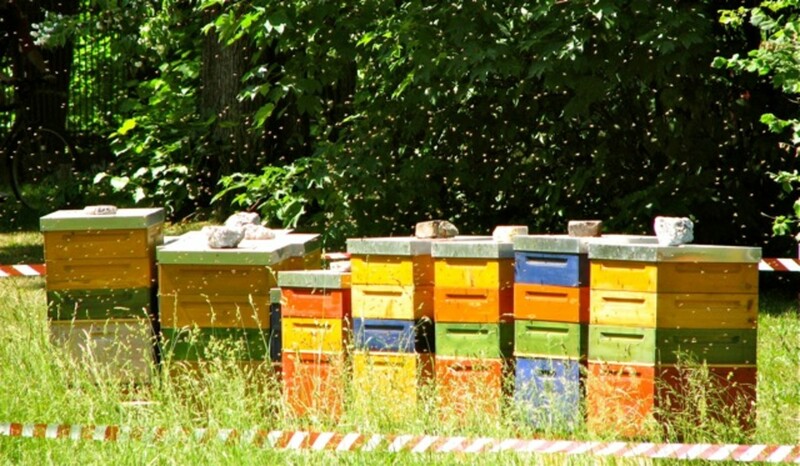 You don't want them chasing bees and making them angry! Many people avoid looking for things that make them uncomfortable. 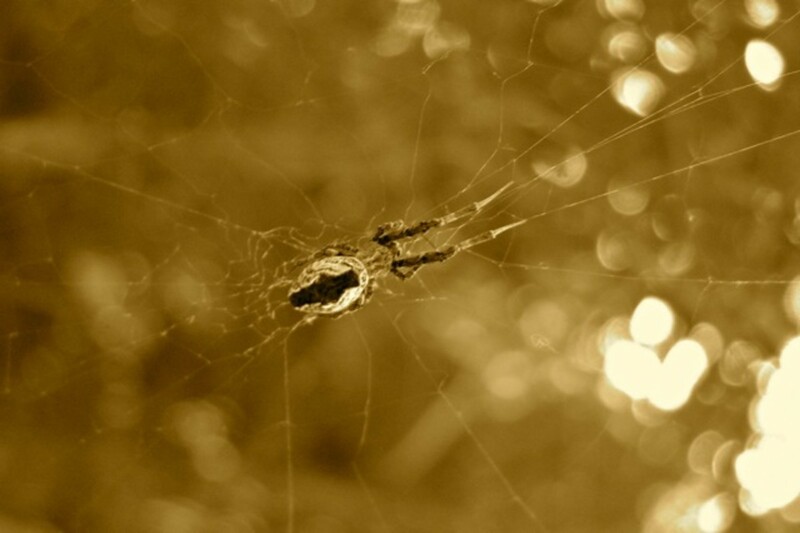 If you are like me, you will find it difficult to look for spiders and their webs or trails. I usually focus on flower hunting and have found that many insects will photobomb my flower snapshots. 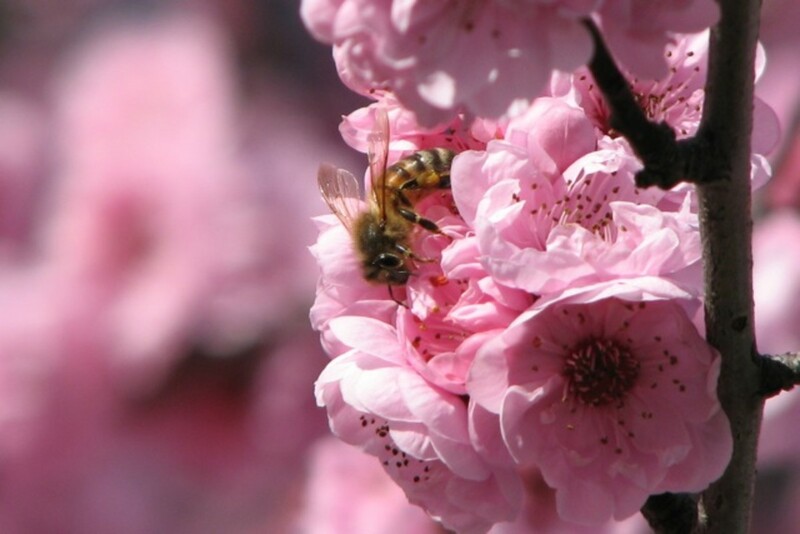 It's easiest and safest to get close to a bee or wasp when it's feeding on a flower. If they are flying purposefully, I would avoid them. Definitely stay well out of the path of a swarm. Clear sunlight is the best for bringing out the gold and black colours. It's also good lighting to help capture the details of bees' fur. 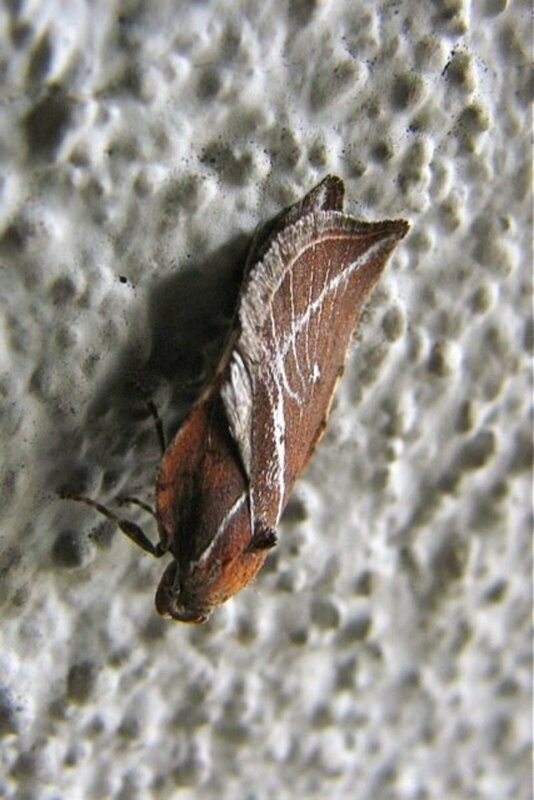 Dawn and dusk, while good for colour depth, may not provide enough light to capture flying insects. 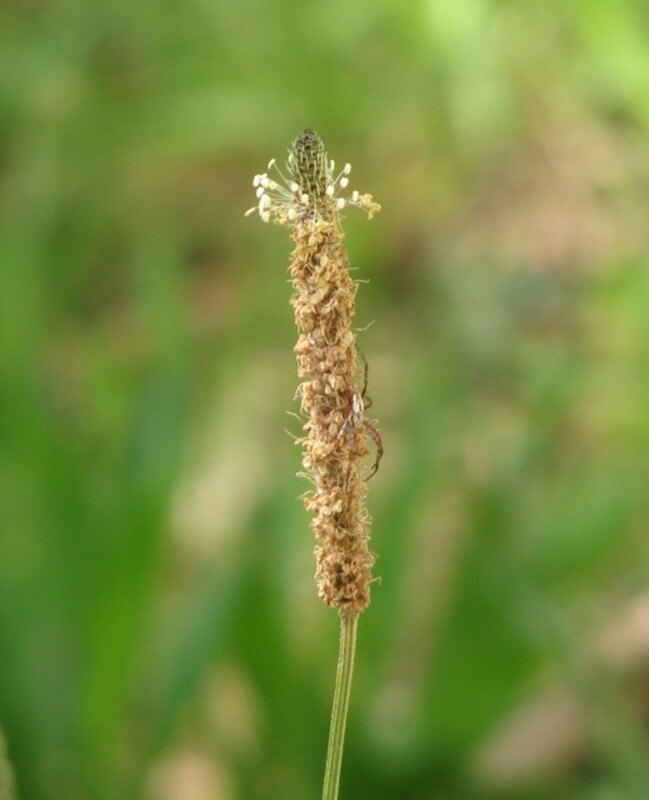 These insects are usually active when flowers are open and displaying their pollen. Many flowers only open after some time in bright sunlight. 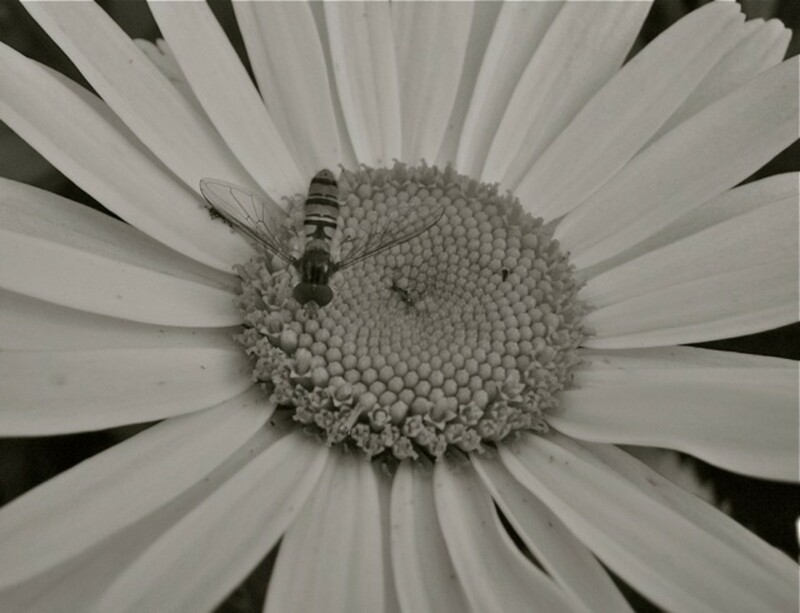 Converting a colour photo of a bee or wasp into sepia or black-and-white will bring out details that are normally hidden, especially of their delicate wings. Play with the light and shadow settings in your image processing software to find the best level of detail. Ants are scavengers, there are often groups around a food source, and sometimes they will try to pull it in all directions at once. 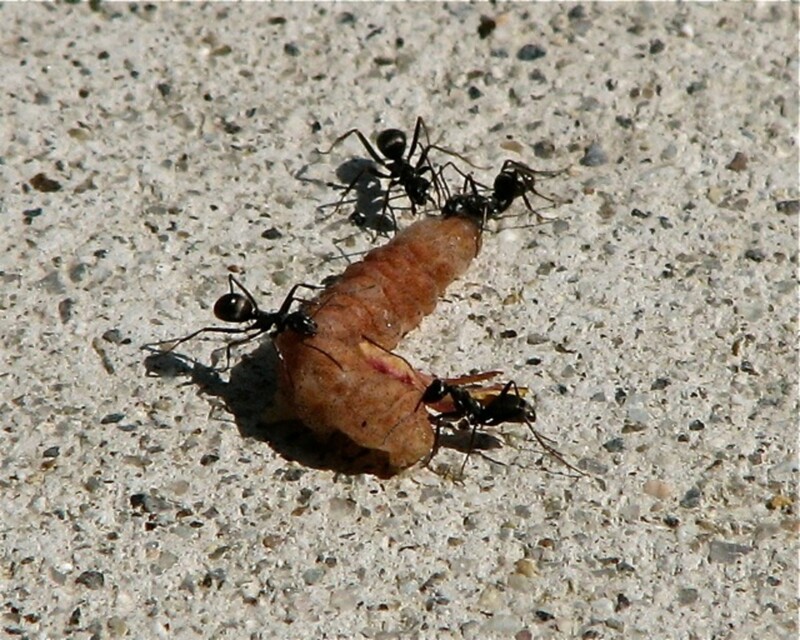 Some ants will take whole leaves, twigs, or bits and pieces back to their nest as food or to construct a shelter. You can capture some interesting and amusing photos if you have such ants in your area! Ants are often not in easily accessible places. Sometimes they wander up tree trunks, so being able to zoom in to get a closer (detailed) shot is useful. Unfortunately, my camera is not very good at zoomed macro shots, and I'm not very good at holding the camera still enough. I'm often reminded when trying to capture an ant in a photo that humans are so large and have a big impact on nature. The double-life that caterpillars, moths and butterflies have is strange and wonderful to many. Children are almost always fascinated by butterflies, flitting from one flower to another, or by the caterpillar in its cocoon. A butterfly house or sanctuary provides many opportunities to capture photos of butterflies that you would not see in your local area. Allow some time for the camera to acclimatize to the warm and moist environment before trying to take photos or your photos will be foggy! 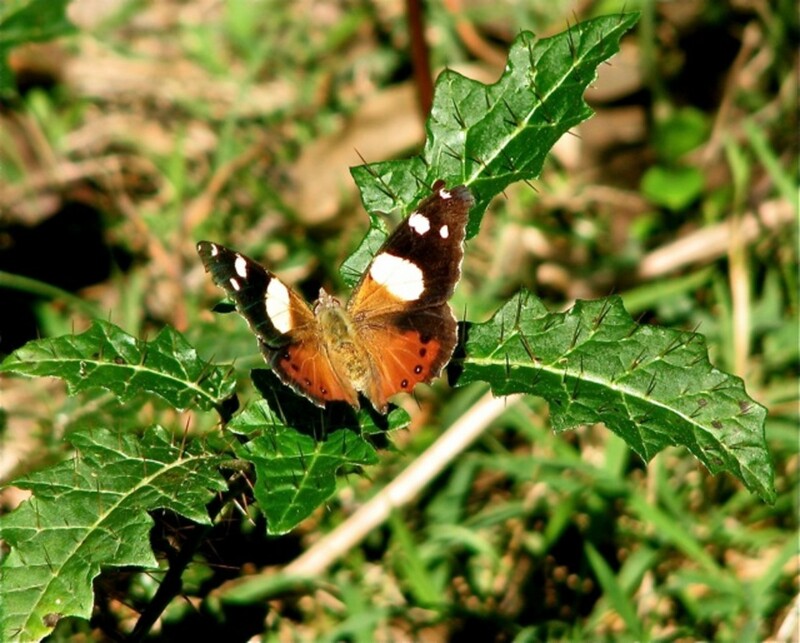 Alternatively, you could plant butterfly-attracting plants in your garden. 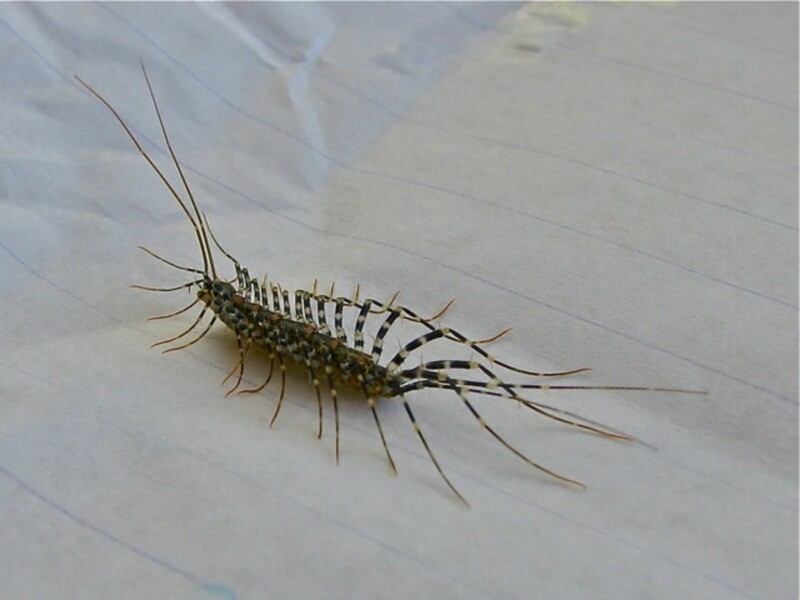 Fast-moving critters such as centipedes are difficult to photograph and equally difficult to physically capture. 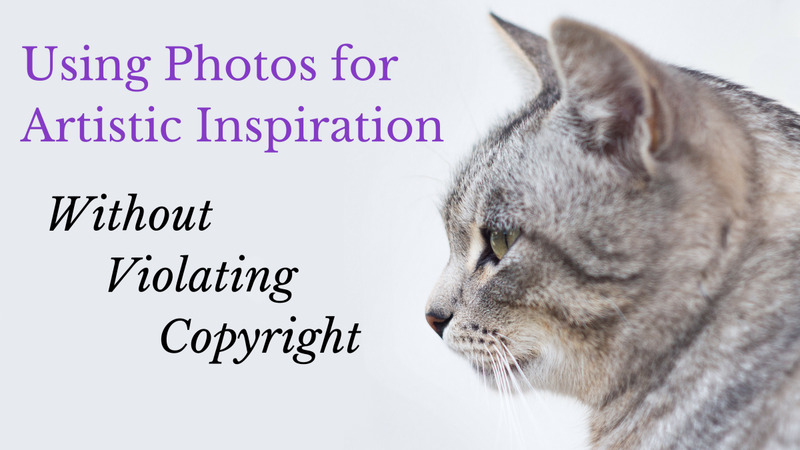 You may need to sacrifice some level of detail and use a faster shutter speed. A detailed macro photo of a moving centipede will be very blurry. Be careful if capturing such insects, as some have painful bites or stings or are poisonous. 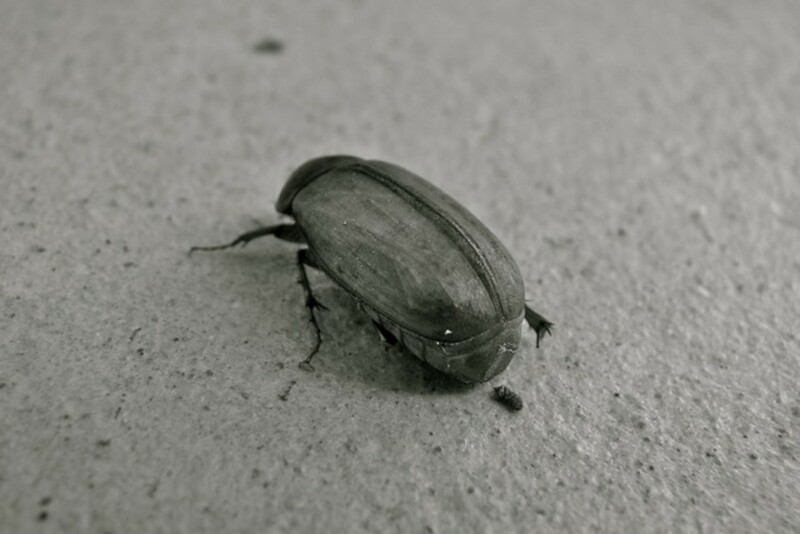 Black and white or sepia photos will bring out many details of beetle shells that would otherwise remain hidden to the naked eye. However, many beetle shells are delightfully opalescent, which can not be seen without colour. 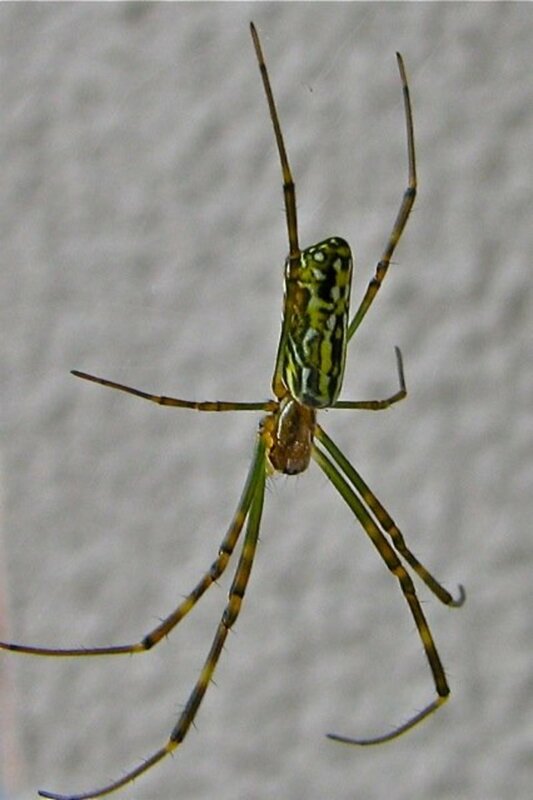 Spiders are fascinating and incredible - anything that can run on eight legs and spin such detailed and fine silk webs is amazing. But they are also one of the most feared creatures. When a spider is sitting still in its web it will rarely become aggressive. It is important to identify a spider to know how it will behave when a camera lens is positioned close to it. 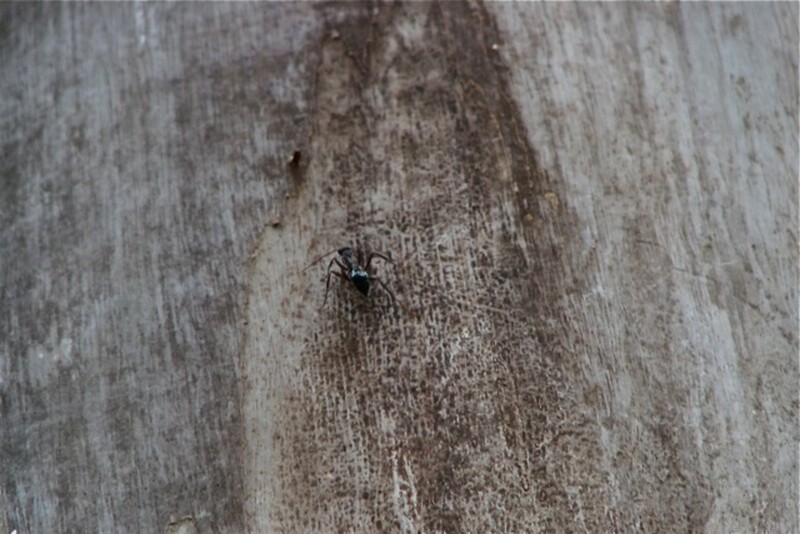 Will a spider rear up and attack (huntsmen/tarantula), or will it run away like the lightning-fast jumping spiders? 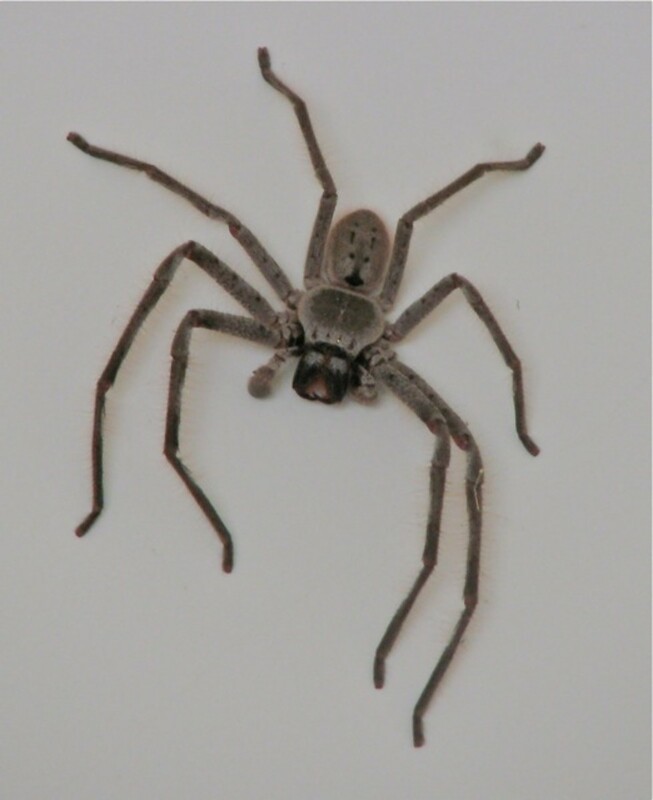 Coming from a country where many of the spiders are dangerous or deadly, and having lived in houses with nests of an aggressive species (white-tails), I am dreadfully afraid of spiders. Unless a spider is happily in its web, my camera stays in its bag. What is your least favourite critter? What insects or spiders are you afraid of? Can you overcome your fear of these critters and photograph them up close? How do you get past your fear? The hover and saw fly photos are fascinating. Thanks Kayla - I never would have thought to look it up because it was so convincing! 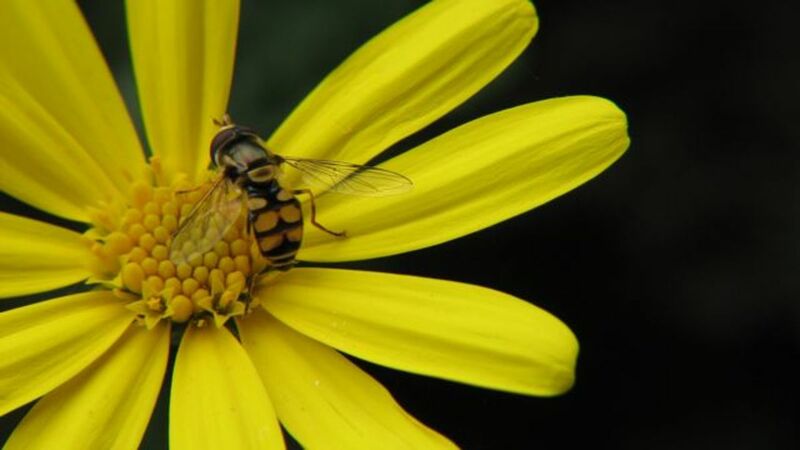 It is indeed a hoverfly (Syrphidae). Nice shots! 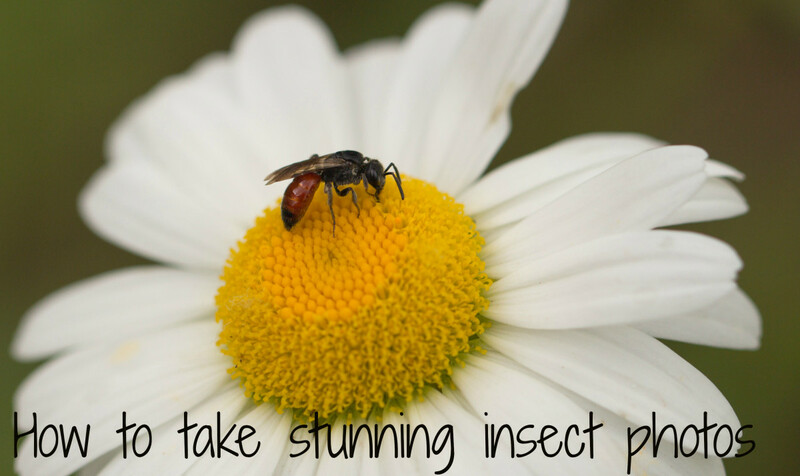 Insects can be tricky to identify, however...your wasp photo is actually a fly mimicking a wasp! One way to tell the two apart is to look at the eyes: wasp eyes do not take up the entire head the same way fly eyes do. Another way is to count the wings: flies have just one pair (2 total), while wasps and bees have two pairs (4 total). Beautiful pics! I have been playing with the macro lens this week and will use your tip and mist a few webs! I don't mind spiders and insects ....except for June bugs and earwigs. Those send me running!! coffeegginmyrice - You love insects?! Cool! I think you are the first person I have 'met' who isn't scared of them! LOL. But you captured it well and it's very effective! I love the photos as well as I love insects. I'm glad that I am not afraid of any of them and I can admire them really close. I will remember your tips. Voted up! Thanks! Thank you suziecat7! We seem to have many interests in common, and you have so many great hubs for me to get lost in too! crookedcreekphoto - thank you so much! I'd like to get a better camera and a decent macro lens, but I found one a little too heavy to handle. Spiders are cool, but to me, terribly scary. Having been bitten by a white tail (a baby one!) and having my finger turn into a balloon, I do tend to overreact to all black spiders now. I definitely screamed at the white tails that decided my washing was cosy, or those that thought I made a good trampoline to jump onto! Fantastic Photographs. I work with a woman who screams every time she sees a spider. I don't understand it. They are really cool looking creatures. Your macro photography is great. I love your suggestions too. The world needs such photography so that they won't be afraid of these kinds of insects. 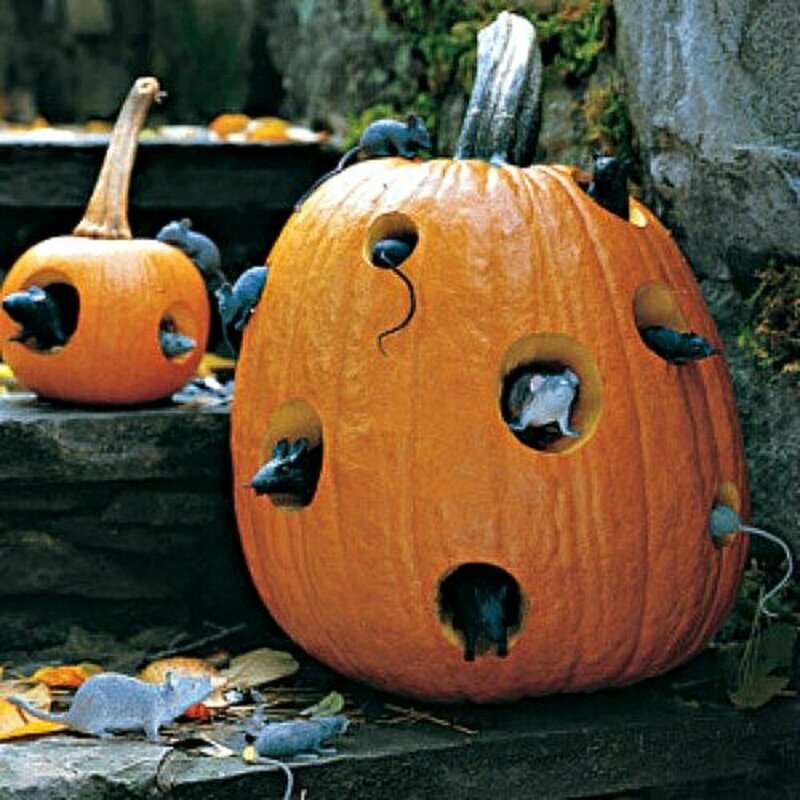 They need to see spiders, ants or other insects in a pretty way. I really enjoyed reading and learning from your hub. And the photos are wonderful!